(LOS ANGELES, CA – June 8, 2012) – Founder of Grammy nominated platinum selling group “Brownstone”, Nicci Gilbert, is gearing up to preview her new plus size clothing line Curvato during New York’s Full Figured Fashion Week 2012. Curvato was inspired by Nicci’s personal 18-year struggle as a full figured woman in the entertainment industry. “During the height of my music career I often felt ashamed and embarrassed because most of my clothing had to be custom made to accommodate my fuller figure, while many of my peers could choose fashionable items from stylist off the rack” says Nicci of her new line. Curvato is also featured on TV One’s new reality series R&B Divas which Nicci created/co-executive produced alongside friend and R&B star, Faith Evans. R&B Divas, is an hour-long docu-series following the current lives of R&B singers Faith Evans, Nicci Gilbert, Keke Wyatt, Monifah Carter and Syleena Johnson. Longtime friends and colleagues, these women share their pain, suffering and joy as they work hard to re-establish their careers. 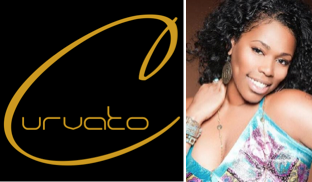 Nicci will be showcasing 12 looks from Curvato as an independent designer on Friday, June 15th, 2012 at the Broad Street Ballroom in Manhattan during New York’s Full Figured Fashion Week. I really LOVE your clothing line. You did that. I hope you go all the way with this for Curvy women. The show is GREAT last night. I sent a text message to everyone in my phone to turn on TV ONE to look at the R&B Divas. I really appreciate you bringing Faith daughter to the Mother Day dinner. I teared up. Your daughter is so GORGEOUS. She should be your HOST. When will the line be online?